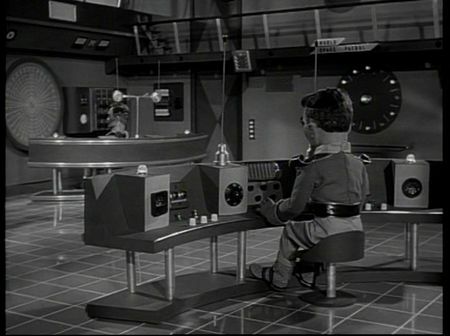 Arthur and I were watching Thunderbirds the other day. It was Path Of Destruction which features the marvelous Crab Logger (above). And I was struck how fabulously weathered and patina-ed it is. And then, having just read this fantastic thing about the respective aesthetics of Star Wars and 2001 it made me wonder whether the design of Gerry Anderson's vehicles had influenced George Lucas at all. A bit of googling brings me to this page which says that both 2001 and Star Wars used techniques developed for Sting Ray, Thunderbirds etc and which talks about designer/special effects chap Brian Johnson, who worked on Thunderbirds, Space 1999, Alien and The Empire Strikes Back. 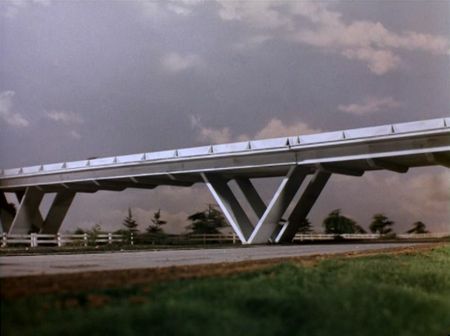 And contains the assertion that the Star Wars designers were told to 'make it look as good as Space 1999'. It makes you realise how influential Anderson's productions were, and how many of our visions of the future were constructed or conceived in the English suburbs. 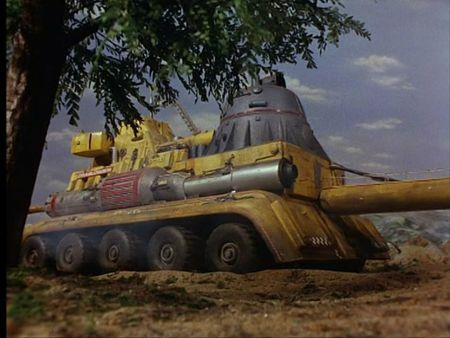 Moongadget also talks about Derek Meddings; who took his Gerry Anderson experience and applied it to tons of movies - including many of the most visually imaginative Bonds. 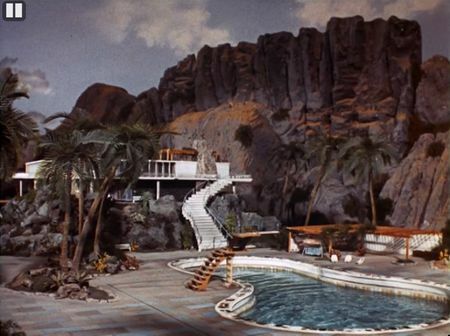 Having been to this event with Matt, the connections between the lairs Ken Adam designed for villains and the locations Gerry Anderson puts his various goodies and baddies in became apparent. I'm not sure who influenced who, but maybe there was some sort of scenius thing going on the in the world of British effects and design. It also struck me just how wealthy the Tracy family must be to fund all this stuff privately. They didn't just have a private island, they had a space programme. The latest Forbes Fictional Rich List puts Scrooge McDuck at Number One. Fair enough. 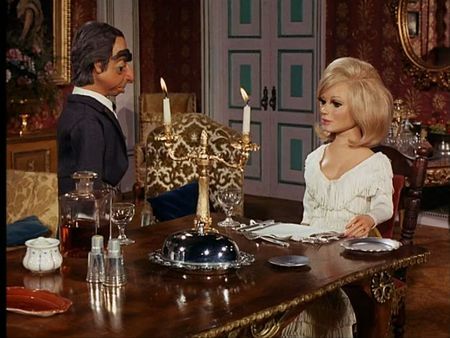 But Jeff Tracy has got to be at least as wealthy as Tony Stark at Number 10. I was also reminded how the denuded roads and public spaces of the Anderson era seems to prefigure so many scifi visions. He was probably doing it for practical reasons, but there's a bleakness/blankness that seems to echo through the years.